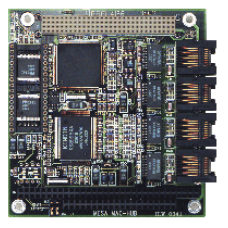 The 4I66 is a stackable PC/104-plus card that combines a 100BaseT Ethernet MAC with a 4 port switch. 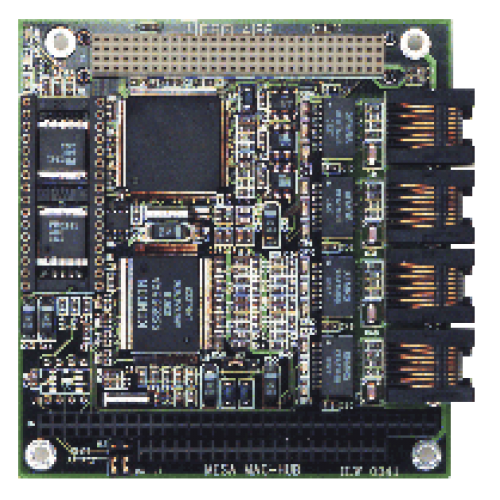 The 4I66 makes it easy to connect multiple embedded system cards without the awkward power or mechanical problems with consumer type Ethernet switches. The 4 Ethernet ports support autonegotiation allowing connections with half and full duplex, 10 and 100 BaseT devices plus auto MDX, eliminating the need for crossover cables. The Ethernet MAC is a National Semiconductor DP83816 which has drivers available for most operating systems. The switch has sufficient bandwidth to support full duplex wire speed connections on all ports.